I am a person who’s not fully into the Apple ecosystem, at least not yet. My MacBook Pro helps me get a lot of productive stuff done. But in the smartphone department, I’m still an Android user. The experience may not be as seamless as a Mac-iPhone pair, but I get along just fine… most of the time. I love using Messages on my Mac. It allows me to connect with my friends and colleagues, send voice messages and even attach files without any restriction or limitation. Sometimes, I like to go back and refer to the files and photos that I have shared, or read about the stuff we were chatting about. That, however, I can only do on my Mac; not on my Android smartphone, since Apple doesn’t have an iMessage client for Android. I’m quite sure many Mac-Android users like me have faced this issue, and wanted to use iMessage on Android at some point of time. Well, now we have a solution for all you folks. Note: iMessage for Android requires an OS X client. If you don’t have a Mac, this solution won’t work for you. The solution is in the form of a GitHub project called PieMessage, which basically comprises of 4 components. The OS X client runs on Mac and listens for any iMessage received or sent from the actual Messages app. The Android client runs on the Android device connects to the OS X client (via sockets). Any iMessage sent from the Android client is picked up by the OS X client, which then sends the message using the Messages app on Mac with the help of an AppleScript (messages.applescript). All communications between the OS X client and Android is possible using a Java Web Server (JWS) bridge. Once the setup is complete, you’ll be able use iMessage on Android and communicate with other users, but you’d need your Mac and Android device to be connected to the same WiFi network. You can learn more about PieMessage and the setup process from their official page on GitHub. A similar Android client was introduced some time back, where the Android client would operate independently, but it was discontinued because of security reasons. The application used to route iMessage data through a third-party server in China, which was not considered safe and reliable. Instead PieMessage just sets up a bridge between your Mac and Android device. 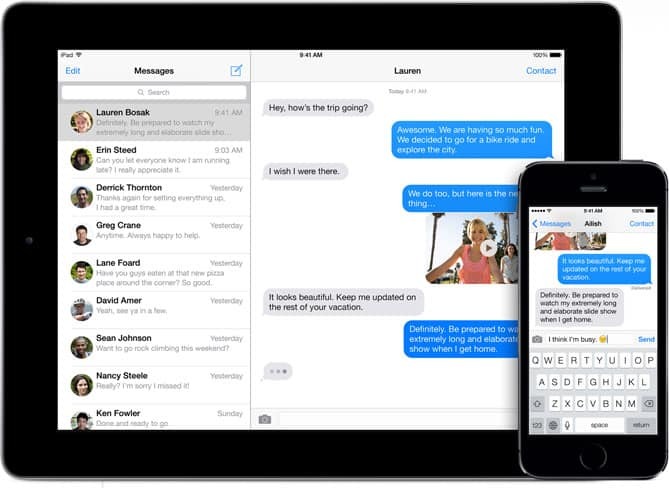 The actual communications take place only on the Messages app running on your Mac. No user data is compromised or routed via any third party server, and the mechanism is safe to use. PieMessage is an iMessage client for Android that just gets its job done. But you’ll need the OS X client alongside to make it functional. Unfortunately, a secure standalone Android client is not possible unless Apple makes it available. If you find the article useful, do give us a shout in the comments below.